Which means this whole visit has been to confirm that that the Wild Hunt leaves ghost towns behind. Which was definitely stuff they needed to know, I guess, but we already knew that and I kind of hoped for another nugget or two to give us some more information. What is especially annoying is that there was a vast amount of information that everyone ignored! The hunt brought a ghost back? Why? And do Banshees get ghost powers? Was Lenore channelling Caleb? For that matter – GHOSTS! Why is no-one curious about this? How can you just let this go without any curiosity? Lydia does do some more research: she connects the Wild Hunt to the Morrigan who, in turn, was a Banshee so there’s definitely a Banshee angle here. There’s also some terrible fate awaiting all the people who has been taken. It is something one of the dead Chimera could do – Josh. And his powers were absorbed by Theo the evil plotting last season. They just have to release him from his prison/resurrect him from death: which they do with the help of Kira’s sword provided by Noshiko. Hey, you know who else could harness electricity? Kira. The storm Kitsunes. Lightening was all of her woo-woo. So rather than bringing Theo back we could have kept Kira. She with the actual relevant powers rather than dumping her in the plot box. Honestly, it’s bad enough they just dump her out of the show because the writers have no use for her – but then turn round and create a storyline that just would fit her powers so perfectly. 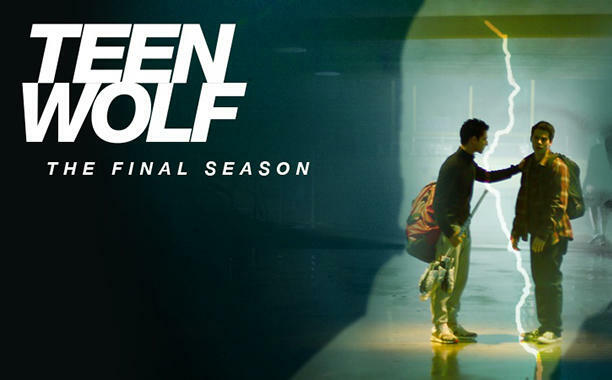 Honestly, are you trolling us now, Teen Wolf? Because no-one in this world can possibly make good decisions, especially not the baby B team, they decide to keep him around and not just murder him. Oh he also remembers Stiles because being buried etc means he’s immune to the mind wiping of the Wild Hunt. This is still not a good reason to stab him. Please make with the stabbing already. This may happen because Scott is totally not happy to see Theo back. Nor is Malia, and Malia has way way way way less impulse control. Turning to characters I care about, Melissa is healing Chris since he’s been stabbed by Wild Hunt poison weapons. Thankfully he knows the cure – except his dying and he only knows the recipe ingredients in Gaelic. Because, of course he does. This is all needlessly convoluted byt Melissa is awesome so I’ll go with that. I’m going to guess a series of lines with Stile’s height or some over relic of his childhood. I still want Kira back – and some explanation of Banshee powers. Please more examination of banshee powers!